You are here: Home > Introduction. Thursday April 18th 2019, Saint Parfait. 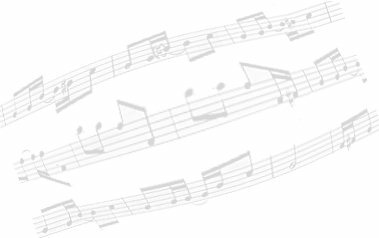 The web sites which make it possible to listen to the traditional music of the County of Nice (France) are not very numerous yet. And those which exist only offer for the moment a restricted choice of works, or limited duration extracts. It is after having made this report that I wished to place at the disposal of the Net surfers the airs of the public domain, by basing me to start on the experiment of the fife that I acquired by playing formerly this instrument in Levens village, within Brandi Levensan traditionnal group. The Brandi Levensan group, when created in 1970. Crouched down in first row, the musicians. After having been an actor in the regional culture of the County while playing fife at Levens, within the Brandi Levensan, then a passor of tradition, I am delighted to be again a relay of this culture. 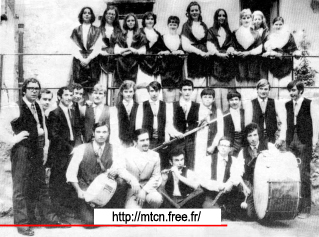 The site “MTCN” is thus dedicated to the airs and songs from the traditional repertory of the County of Nice, and, more widely, from Provence to Piedmont. To listen to the airs, presented in the form of MIDI files (could I make here an other choice? ), your equipment must of course have a sound card and loud speakers. You can also download all of the tunes, then listen to them with your favorite MIDI sequencer. You will also find there some scores of these airs and songs, as well as the lyrics of these last. I wish that this site makes it possible to discover the richness of the local customs of the County of Nice, as well as the very strong cultural links with the very near transalpines areas. This great diversity finds an explanation in the geographical characteristics of the County (which extends from the edge of sea to the high mountain, while passing by the middle country) and in its tumultuous history (successive fastenings in Provence, with the Duchy of Savoy, the Kingdom of Piedmont-Sardinia, then by twice in France). Contents of this site is of course evolutionary, it will be gradually enriched. More than 360 tunes are currently available for online consultation and download. Feel free to browse... stay as long as you like... I am happy you are here!